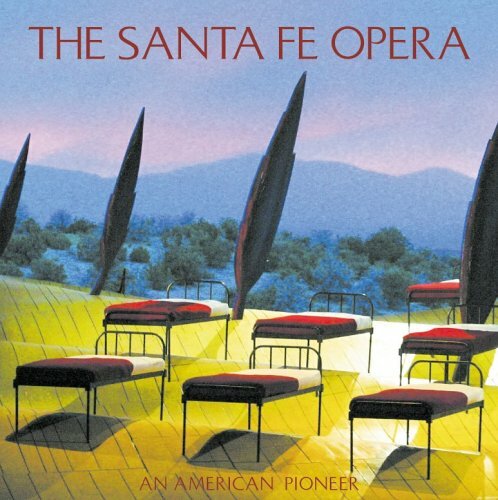 Honoring the fiftieth anniversary of the Santa Fe Opera, this is a portrait of a pioneering American company that is recognized as one of today&#x2019;s most important international festivals. The Santa Fe Opera was founded with the idea of establishing an American style of opera. From the beginning, the company was forward-looking and modern in spirit, championing young American singers and new operas, and focusing on innovative repertory and theatrically-driven productions. With its stunning open-air theater set in the spectacular landscape of northern New Mexico&#x2019;s high mountain desert, it has become a place of pilgrimage--a destination for performers and audiences alike. The Santa Fe Opera&#x2019;s commitment to the operas of our own time was launched the very first season, when it began a close relationship with Igor Stravinsky. Over the years, it has given the American premieres of major landmarks, including Alban Berg&#x2019;s &quot;Lulu,&quot; six operas by Richard Strauss, Janacek&#x2019;s &quot;The Cunning Little Vixen,&quot; works by Heitor Villa-Lobos and Dmitri Shostakovich, six new operas by Hans Werner Henze, and Kaija Saariaho&#x2019;s award-winning &quot;L&#x2019;amour de loin.&quot; It commissioned Luciano Berio&#x2019;s avant-garde classic, &quot;Opera,&quot; and Tobias Picker&#x2019;s &quot;Emmeline.&quot; Some of the most celebrated singers of the past half century got their start in Santa Fe, many of them emerging from its ground-breaking apprentice program, which has trained a new generation of opera stars. This is the story of a trailblazing company that, in just fifty years, has changed the musical map of America. Phillip Huscher has been the program annotator for the Chicago Symphony Orchestra since 1987. He studied piano at the Aspen School of Music and music history at the University of Chicago. A former music critic, he was a contributing editor for Chicago Magazine for more than a decade. He has written liner notes for Grammy® Award-winning recordings, scripts for PBS concert telecasts, and program notes for many organizations, including the Santa Fe Opera.